Young Mining Professionals Johannesburg is a group of like-minded mining industry professionals from South Africa. Johannesburg has a strong mining sector with several mining and mining supply companies, along with numerous active mines. 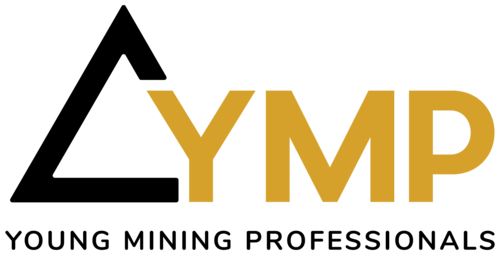 YMP Johannesburg will host a variety of networking events to help its members build their industry connections while also helping them to gain the skills, support and knowledge needed to successfully advance their careers and facilitate new business opportunities. Managing Director at Dwyka Mining Services base which is a pan-African mining technology platform. It has established verticals and dedicated resources focused on assisting mining clients with adoption and adaptation to technology using a hybrid mix of visualization software, IoT hardware and connectivity solutions. As an advocate that technology will act as a catalyst for industry-wide improvements, he is passionate about leaving a positive lasting legacy through sustainable human and machine solutions. As a Digital Media Specialist, her skills and knowledge help bridge the gap between traditional and digital media by producing information that is interesting, relevant and informative. In current role at Anglo American South Africa, she is responsible for developing and implementing the company's digital communications strategy. Innovation has been a critical part of ensuring that we find new ways to mine and process natural resources. I her aim … to help South Africans re- imagine mining. With experience working across the public and private sectors, as well as in leading international development institutions he has lived in Botswana, South Africa and the United States and has travelled extensively across Africa. Currently the Principal Advisor - Corporate Relations (Africa) for Rio Tinto where, as part of a team, his work involves managing the Group’s government affairs, stakeholder engagement and their reputation on the Africa continent. He is also involved in the development of the Group’s Africa strategy and, through his analysis, keeps the Group informed of political, social and economic developments in its African markets of interest. A young finance professional (ACMA,CGMA) with over 5 years’ experience in the mining industry (Gold & PGM’s), with a hunger to make a difference. He has a true passion for understanding the impact of Robotic Process Automation (RPA), Artificial Intelligence (AI) and big data in the role of finance and the true value it can add to organisations. Currently a part of a dynamic team within Sibanye-Stillwater, focusing on identification of optimisation opportunities, evaluating the financial implications and ensuring successful implementation. Dealing principally with issues relating to mining law, and construction and engineering. In terms of the Mine Health and Safety Act and the Occupational Health and Safety Act, he has assisted and represented various mining houses and construction companies at investigations and inquiries conducted by the relevant authorities. His experience extends to commercial litigation and arbitrations, as well as general corporate and commercial work. He is also involved in renewable energy power projects and construction contracts, including standard form FIDIC, bespoke construction and EPC contracts.